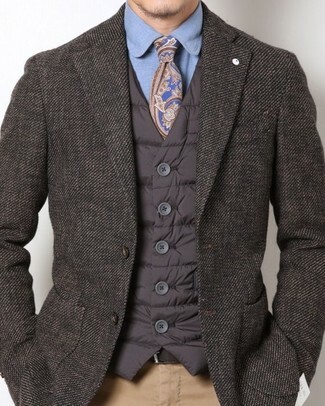 If you're after a casual yet on-trend getup, wear an Eleventy button padded vest from farfetch.com with brown chinos. Both items are super comfy and will look great together. Bump up the cool of your look by completing it with brown leather brogue boots. If you're in search of a casual yet dapper look, consider wearing an Eleventy button padded vest and black jeans. Both garments are totally comfy and will look great together. 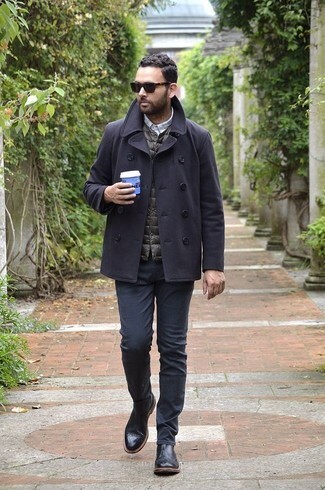 Wearing a pair of black leather brogue boots is an easy way to add some flair to your getup. 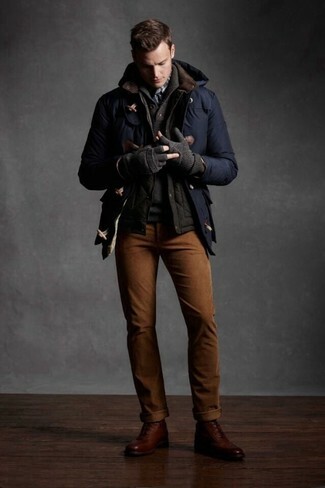 If you're on the lookout for a casual yet on-trend outfit, go for a dark brown quilted gilet and khaki chinos. These two pieces are totally comfortable and will look great together. 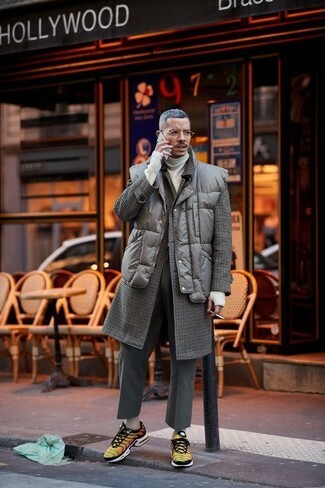 For a nothing less than incredibly stylish getup, consider teaming a dark brown quilted gilet with charcoal wool dress pants. For something more on the daring side to complement this getup, make yellow low top sneakers your footwear choice.